Activism 101: How to balance creativity and mission—and not burn out. 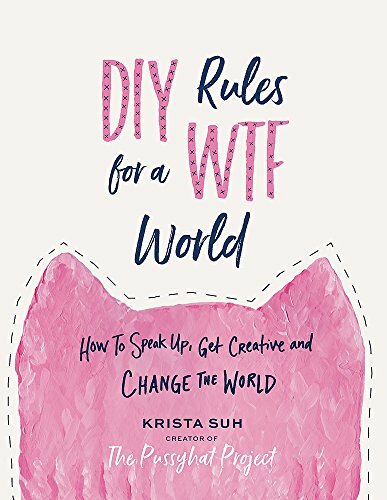 Krista Suh is a screenwriter, craftivist, artist, activist, creator of the Pussyhat and Evil Eye Gloves, and author of DIY Rules for a WTF World. Her mission is to make the world a safer place for women and help everyone validate their own creativity, femininity, and intuition. KRISTA SUH: I think the way to optimize your impact is to, one: get to know yourself really, really well. What are your skills, what do you actually have fun doing? Because if you don't know yourself and you throw yourself into something you might suddenly realize: 'Actually I don't enjoy this, I'm not good at this but I'm already committed. I mean it's a slog. It doesn't feel good.' And I think with the Pussyhat, I love that so many people have learned how to knit from it. My own dad included, actually, but I also hope that people get inspired to think that 'Wait, if knitting can make a difference, surely my amazing, important hobby can make a difference.' You could just open up the mind to what you can do, that it's not just step one, two, three or industry one, two, three. For me, patriarchy actually is the idea that there's only one right way of doing something and if that's the case then creativity is actually the antidote to that. There's so many ways of doing things.